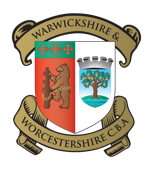 Talking bowls is a forum site, where you can catch up on information about the Warwick & Worcester, Sutton and Erdington leagues as well as the Deers Leap forum. You can also find out about competitions in the area and all the latest news from the world of bowls. The SCBBA has just celebrated it’s 75 anniversary year. The league has 6 divisions and plays it’s games on Thursday evenings. As well as the league fixtures the association also organises cups and merit competitions open to all registered members of the association. Welcome to Crown Green Bowling 21up the best crown green bowling site on the net . Crown Green Bowls a sport for all ages. You can be sure to find everything and anything in connection with the sport. However, much of the site is only viewable on a subsciption service which is around £20 per year.